It’s not very often we see the photos of the inside of a terminal and stop in our tracks, but that is exactly what Toyko Narita have managed to do with their new Terminal 3 design, dedicated to low cost carriers. 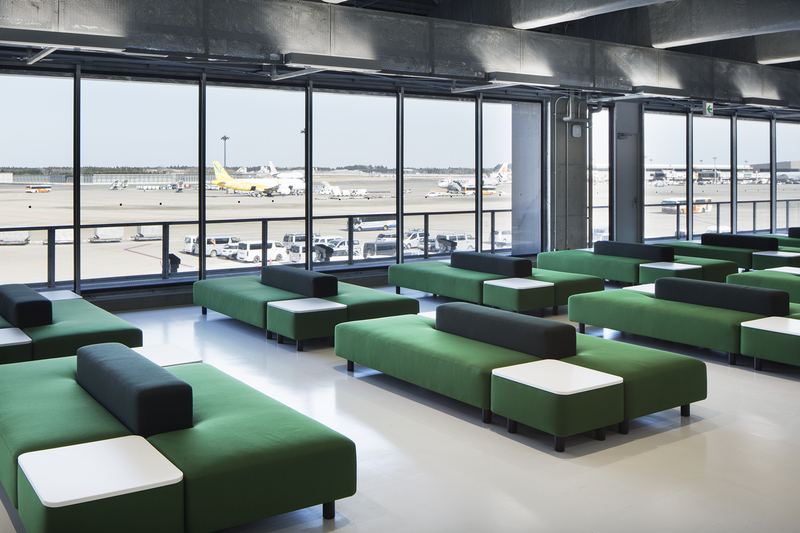 Serving Japan Vanilla Air, Jeju Air, Jetstar Japan, Jetstar Airways and Spring Airlines, the new space is utilitarian-chic, and feels more like a set for the movie Gattaca than an airport space. Designed by consortium NIKKEN SEKKEI, Ryohin Keikaku, and creative lab PARTY, the team have delivered a very simple yet effective design on what they have described as ‘half the usual budget’ for such a space. This budgetary restrained has seen the removal of moving walkways, or the traditional illuminated airport signs, and instead has brought in running tracks and painted concrete walls to direct passengers. 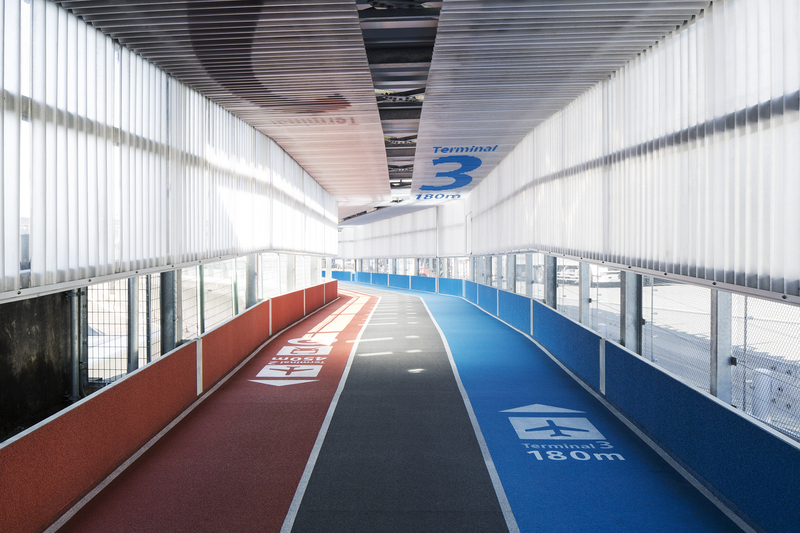 There is something inherently low-cost, and simply inspired by the design of the space and as Tokyo is hosting the Olympics in 2020, this athletic airport couldn’t be more on trend. 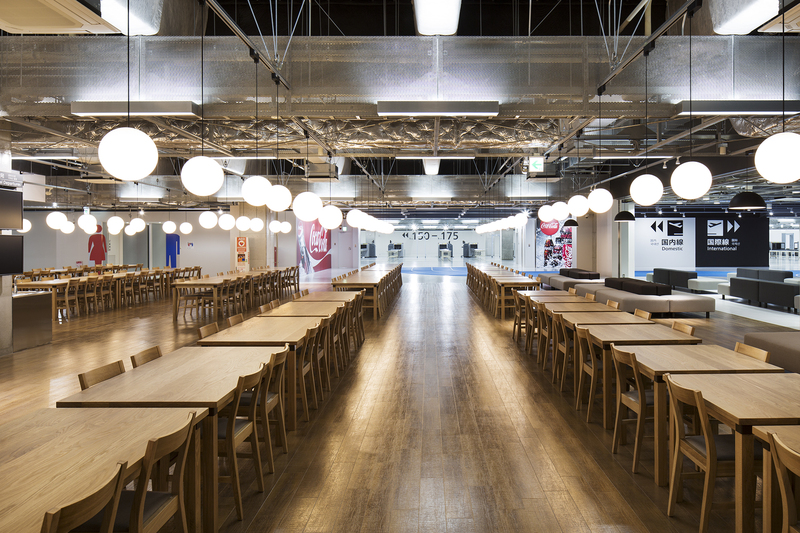 By bringing Ryohin Keikaku (MUJI) on board, there is a great synergy between architecture and interior design, with swathes of comfortable, yet simple and functional furniture adding warmth to this stark environment. 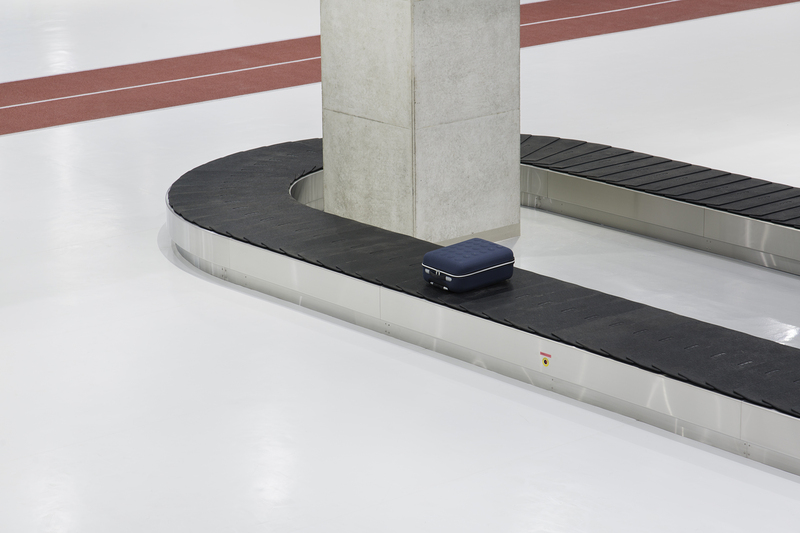 There are elements we really love, such as the colour coded tracks for arrivals and departures, the actual texture of the floor similar to that of a running track offering a comfortable walking experience, and the large open dining area. While the color bits might be a nice reprieve from the steel, concrete, and exposed utilities, they don’t hide the fact that it looks like a warehouse for human cargo. The wood in the dining area is the only touch of warmth in a design that looks, in general, to be ruthlessly functional. It looks really great. I love the way they managed to make the airport interesting and inviting, and not cheap. Can’t wait to fly there.